Carlos lives with his parents and 4 siblings in extreme poverty. They live in a region at the base of an active volcano, where his parents find occasional work in coffee fields. 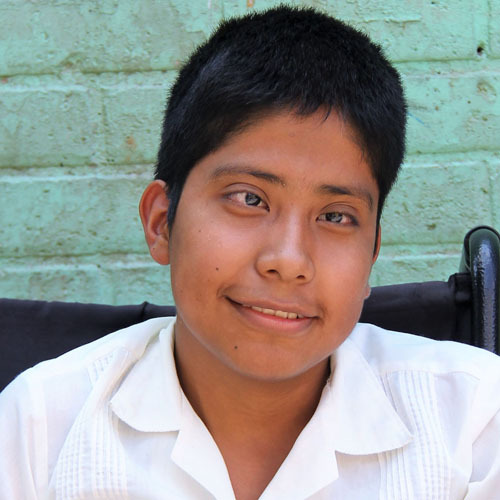 Born with a disease that left him unable to walk, Carlos is confined to a wheelchair, but his teachers find ways to involve him in P.E. at school. He is a bright student who especially enjoys art class.